Brittle nails NO MORE! Watch this video to find out how to make weak and brittle nails strong and healthy. I’m often asked how to make weak nails grow stronger and longer. In today’s video I reveal my techniques for keeping my nails strong and healthy. Unfortunately, I was not gifted with naturally strong nails but I’ve learned how to turn that around and today I’m sharing all my secrets with you. Yes my friend, there’s a cure for brittle nails! In today’s video I explain what causes brittle nails, provide recommendations for brittle nails treatments and present a nail care routine that will have your nails stronger and healthier within 2-4 weeks. So let’s do it! Hit play on the video above and unlock my best nail care secrets for brittle nails! 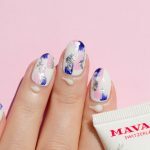 In Australia you can buy Mavala nail care available here. Internationally – via Mavala beauty counters or here. Do you have brittle nails? What’s your best tip for making them grow stronger and healthier? P.S. Read about TOXINS in nail care products and why you should avoid them here. More tips for strong and healthy nails? I’ve got you covered! Disclosure: This video has been created in collaboration with Mavala Australia, however, all opinions and views are my own. I only recommended nail care products that I personally use and enjoy. Whether you use Mavala or any other nail care brand, the same principles apply. As long as you use nail care products from trusted brands that hold all the appropriate certifications. 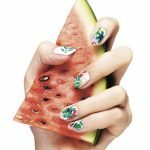 If you have brittle nails like me, I really hope that my tips will help you grow strong and healthy nails quickly!